Spring is also the season of... taxation!. The "Annual Tax Return" contains the earnings and expenditures of the fiscal year. But, how does the Government use our money? 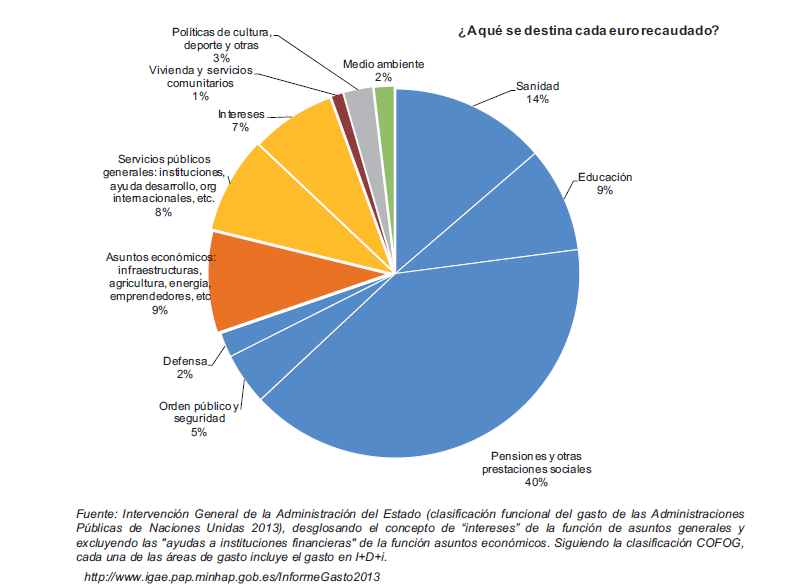 According to this graphic (official data from 2013), most part of it is for pensions and other social issues (you can click on the image to enlarge it). Do you agree with the precentages? Would you change something? Why? Is there anything that susprise you?